Our take on a classic flavor. Together we’ll take the rich bold taste of Madagascar vanilla and create a new experience for your coffee shop beverages. A Classic..... Madagascar vanilla since way before yesterday! Treat yourself to the rich, bold taste of Madagascar vanilla. The full-bodied sweetness of our Creamy Vanilla Bean is our take on a classic flavor! It’s designed to perfectly compliment hot, iced, blended or smoothie beverages. Together we’ll take this classic coffee shop flavor and create a new experience sure to keep your customers coming back for more! Better than any syrup or sauce and with no preservatives. Easy to use, shelf stable and so delicious you will never go back! 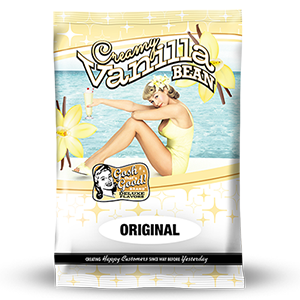 Creamy Vanilla Bean is great on it's own for a rich full-flavored beverage or combined with other flavors, fruits, juices, espresso, coffee, to make an unlimited number of specialty beverages. Be creative to offer your own signature beverages unique to your coffee house. Not a pre-mix beverage. But an ingredient used in making many different beverages. Simple to store, no refrigeration. Add 2 scoops of Creamy Vanilla Bean™ into 12 oz. cup. Add 2 scoops of Creamy Vanilla Bean™ into a mixing colander. Add 3 scoops of Creamy Vanilla Bean™ into blender. 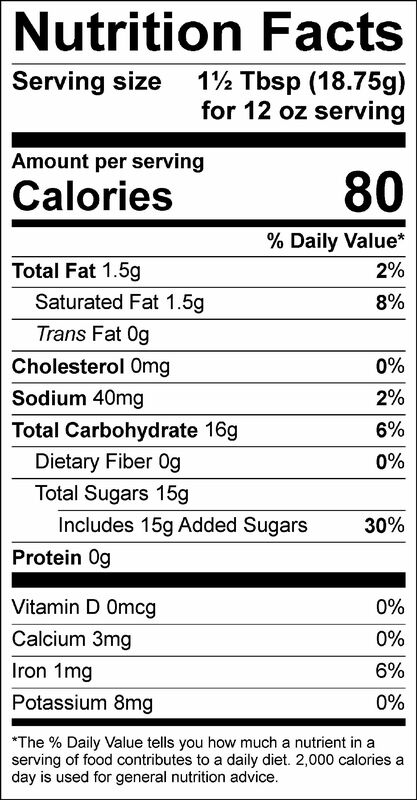 Sugar, non-dairy creamer [coconut oil, maltodextrin, sodium caseinate (a milk derivative), mono-and diglycerides, dipotassium phosphate, silicon dioxide, soy lecithin], natural and artificial flavor, cellulose gum, salt, tri calcium phosphate (anti-caking agent), Vanilla Bean Seeds.